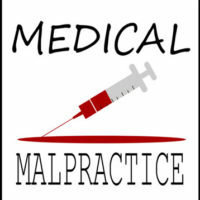 Medical malpractice is a term that gets a lot of press these days. It seems like doctors across Maryland are constantly on trial, defending against claims of improper treatment and other failures. Media coverage thrusts the most egregious examples of medical malpractice into the spotlight, providing salacious details about grizzly medical mistakes. But the legal process involved rarely gets the same amount of attention. From a legal standpoint, medical malpractice is a type of personal injury claim. In order to receive any compensation from a medical malpractice claim, the patient-victim must prove negligence. As with other legal claims based on negligence, there are four essential elements to medical malpractice claims in Maryland: (1) Duty, (2) Breach, (3) Causation and (4) Harm. The first element of a negligence claim involves a duty of care. In the medical context, doctors owe their patients a duty of care. Stated otherwise, doctors must adhere to established standards when providing treatment to patients. If the doctor does not act reasonably or professionally, they may breach their duty of care to the patient. The second element of a negligence claim involves a breach of the duty of care. In the medical context, this means that the doctor deviates from established standards of treatment. In this context, simples mistakes or human error do not always qualify as a breach. The doctor must make a serious and unjustifiable error. If a doctor does breach their duty of care, they may be liable for any harm or injury to the patient. The third element of a negligence claim involves causation. In other words, the patient must prove that the doctor’s actions were the direct cause of harm or injury. If the patient’s injuries are not a direct result of the doctor’s breach, then it does not qualify as medical malpractice in Maryland. Non-Economic Damages — These are more abstract damages that are difficult to quantify, such as pain and suffering, emotional trauma and loss of support. If you need to file a medical malpractice lawsuit in Maryland, it can be decidedly advantageous to reach out to a seasoned personal injury attorney. The attorneys at Iamele & Iamele, LLP in Baltimore, Maryland, have experience representing clients in a variety of personal injury settings, including medical malpractice cases. If you need legal help, contact us today for a free initial consultation.